As we have posted on Facebook and Twitter, the Academy Orders for ALL three schools have been rescinded. A victory is important, but a proper victory is not only satisfying but it also sends an unequivocal message that at every turn both the Federation and the Secretary of State have to account for their every action and every word. The attempt to change the law, partly in response to the legal challenges made to the Federation’s Academy Order process are designed to remove the last vestiges of democratic accountability for education. 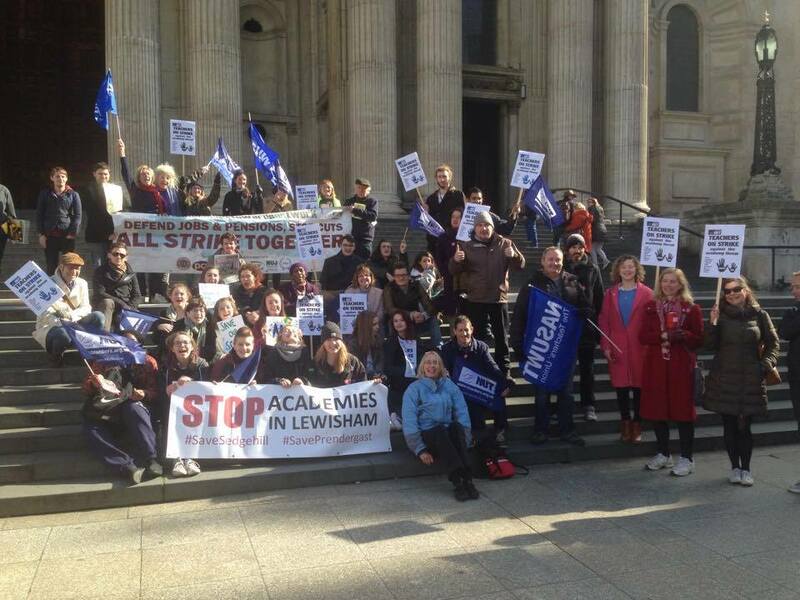 This time last year, many of us had no idea about the way the schools our children are educated in are managed and governed, certainly in Lewisham that is no longer the case, We now understand that the Governors have enormous power. But we also now understand that a community campaign where students, parents, and staff at the school are united can win, and will not just walk away and let the education system be decoupled from the needs of our community. If the law is changed as envisaged it will make it easier to create an Academy, but the Governors can be in no doubt that, it is not something that the local community want, it is (as the evidence is now showing) a high risk strategy for improving pupils outcomes, and they DO NOT have to do this. When the Governors meet in the autumn, they should be under no illusions that if they thought 2013/14 was bruising, then 2014/15 will be even more so. This entry was posted in Uncategorized on July 31, 2015 by spuddybike. For the record, our legal team explain how the challenge was mounted resulting in the rescinding of all three Academy Orders. There will be a further post on why it was important to follow through to the end. In May 2015 a formal letter of claim was written under the judicial review pre-action protocol threatening Judicial Review proceedings against the Federation and the Secretary of State for Education. The potential claimant was a parent of a child at Prendergast School. The basis of the challenge was that the 3 academy orders for Prendergast School, Prendergast Vale and Prendergast Ladywell Fields had been made unlawfully by the Secretary of State, as the Governing Board of the Federation had acted in breach of the regulations which govern the procedure Federations must follow when applying for an academy order. The regulations set out which classes of governor must apply for an academy order. One of the classes of governor stipulated under the regulations is the staff governor. The staff governor did not vote in favour and so there appeared to be a clear breach of the regulations. The result of this was that on 22 May 2015 the Federation and the Secretary of State accepted that because the staff governor did not vote in favour of applying or the academy order, the order for Prendergast School had been made unlawfully and, so, was rescinded. However, the Secretary of State and the Federation argued that it was only the order for Prendergast School which had been made unlawfully, as governors, despite being on the Governing Board of a Federation were actually school specific under the regulations. As the staff governor was employed at Prendergast School it was only the order for Prendergast School which had been obtained unlawfully. Despite the Claimant’s solicitors having some doubts as to whether the Secretary of State was correct in her interpretation of the regulations, the point of the challenge was to halt the Academisation of the three schools and not to argue the point as her interpretation as it still allowed us to come back at some later time that the other 2 orders had also been made unlawfully. The wording of the Regulations meant there were three classes of governor required to vote in favour this included staff, parent and head teachers. 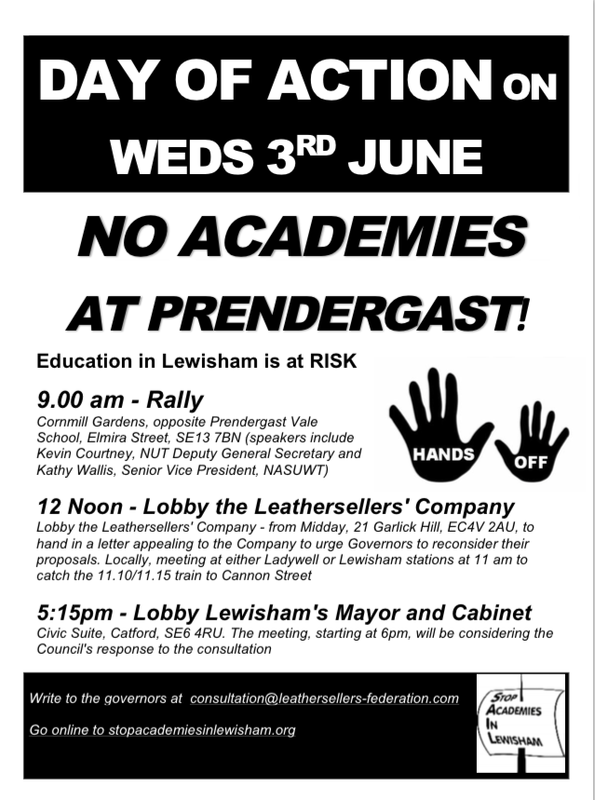 In the case of Prendergast (Ladywell Fields) the parent governor did not attend the meeting when the decision was taken to apply for an order, despite being in office. Further, our assumption had been that when the regulations referred to “head teacher” we had assumed that meant head teacher of the Federation. However, if the Secretary of State was right and governors had to be school specific, then head teacher must mean the head teacher of each individual school. Although the head teachers attend Governing Board meetings they are not members and so do not vote. 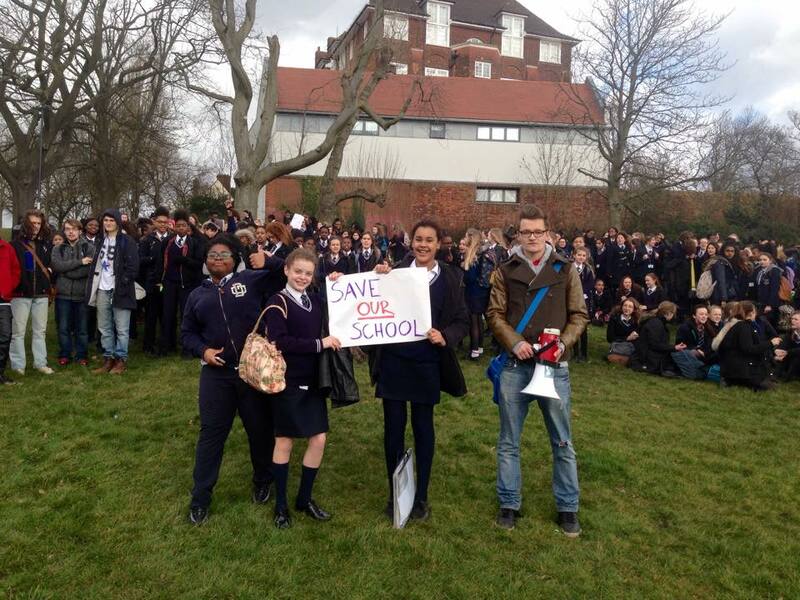 Therefore the order for Prendergast Vale had also been made unlawfully, as the head teacher did not vote for it. This argument also applied to the other 2 schools but there were other classes of governor who did not vote in favour so we did not have to rely on the head teacher point.. There then was extensive correspondence between instructing solicitors and Secretary of State. The original Claimant had was a parent of a Prendergast (Hilly Fields) student so there was a strong argument that he did not have “locus” in respect of the other 2 schools – in other words he had no direct interest in them and so had no right to bring proceedings against the granting of the orders in respect of Vale and Ladywell Fields. Another Claimant was identified (with hours to spare) who was the parent of a child at Vale. In the end after numerous letters another formal letter of claim was written on 16 July, threatening legal proceedings in 14 days unless the other 2 orders were rescinded. On 28 July we were written to by Secretary of State, who informed us that the Chair of Governors had written to the Secretary of State requesting that the other 2 orders be rescinded and the Secretary of State agreed to that request. This entry was posted in Uncategorized on July 30, 2015 by spuddybike. The letter posted on the Federation website yesterday that the Leathersellers’ Federation have ‘defer[red] the current conversion process]’ which still avoids the question of whether the orders for Vale and Ladywell have been rescinded raises questions about the role of the Governing Board as a whole and the judgement of the Chairman and Executive Head. The letter says that the Governing Board have taken this decision, to our knowledge there has been no meeting since the legal action and we look forward to the minutes if such a meeting took place. During the phoney war whilst the Working Party ‘deliberated’, they were warned that there would be opposition. But they also failed to understand the scale and nature of that opposition. As a campaign we have been deeply critical of The Mayor, and Frankie Sulke (Director for Children and Young People) especially over Sedgehill, but an experienced local politician he understood the storm approaching the Leathersellers’ was not to be treated lightly. And he told them so, but they were either too arrogant or too ignorant to understand. 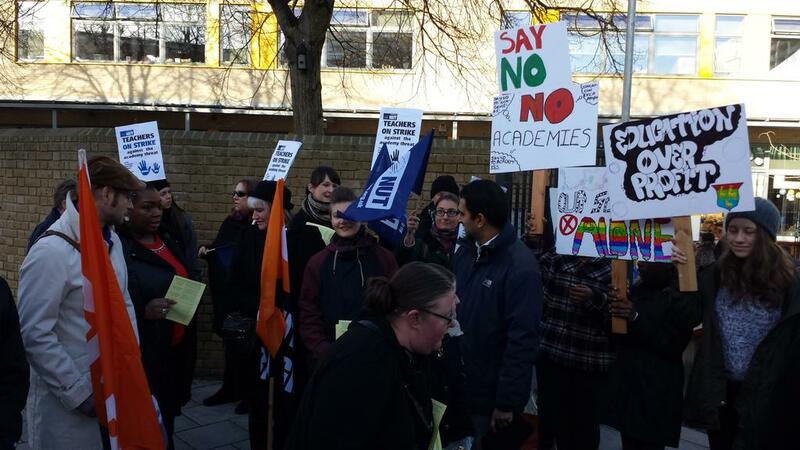 At the 9 December 2014 Board, on the very day there was a strike across Sedgehill and the Prendergast schools and the campaign against academisation was starting to catch fire. “The working party did not look at all the options and independently recommend academy status – it was established to look only at academy status, with legal advice only on that specific option”. As the Public Debate were told in no uncertain terms by the Executive Head (David Sheppard) that “the Governors are responsible” and “they will make the decision“. This entry was posted in Uncategorized and tagged prendergast on June 3, 2015 by spuddybike. We have great pleasure in announcing that the Leathersellers’ have rescinded the academy orders for ALL THREE SCHOOLS in the Prendergast Federation. “governors have created a rift [that] will raise questions with teachers as to whether they want to stay on at the school”. no photo’s – but you know who are! This entry was posted in Uncategorized on June 1, 2015 by spuddybike. With the Consultation closing on Monday 8th June, a big push is just what is needed to keep the pressure up on the Leathersellers’ and the Council, backing up the legal action that has taken place. This entry was posted in Uncategorized on May 31, 2015 by spuddybike. The breaking news on Friday that the Federation has rescinded the academy order for Prendergast (Hilly Fields) was very welcome news. However, the decision to carry on regardless with Vale and Ladywell Fields is confirmation (in spite of their protestations to the contrary – of being undecided until the consultation has completed) that the Governing Body is hell bent on this conversion. 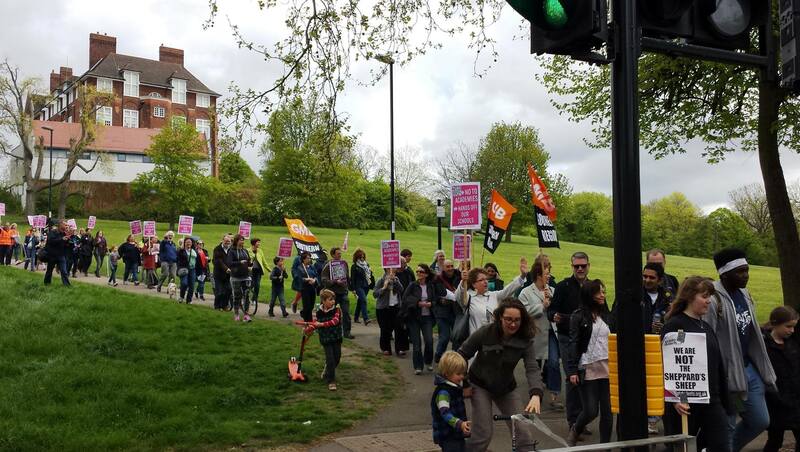 The order was rescinded because of a challenge to the academy order for Prendergast Hilly Fields by a parent, that because the Staff Governor had not voted in favour – the order was invalid. But I hear you say – how can the academy orders for Vale and Ladywell be valid – well of course the answer is – that is that they are not – they just haven’t got a legal challenge against them. If the Governor’s had any decency they would have admitted they have been caught out and withdrawn the applications from Vale and Ladywell Fields. So why have they carried on? We already know from the MAT Working Party report that they have taken advice from the DfE South Division, Academies Group. The letters between the Federation and the Department of Education which were posted on the Federation website gives us an insight into this advice from an impartial civil service. Barrow writes to the DfE at 3pm rescinding the academy order. The DfE further advise that they should continue to proceed with the orders for Vale and Ladywell and add. Now, we have been told repeatedly that the issue has not been decided until the Governing Board meet in June after the consultation, do the DfE think that the conversion takes place irrespective of the consultation? In spite of the DfE and the Governors knowing that the process is flawed they continue anyway. The letters indicate that the DfE will bring changes to the law, to remove the requirement that a staff governor or parent governor have to vote in favour. Looks like a job for our recently elected MPs. We would also like to know how many other schools have been converted where the legislation has been followed correctly. DON’T FORGET TO KEEP THE SUBMISSIONS TO THE CONSULTATION COMING IN, see our Consultation Guidance. This entry was posted in Uncategorized on May 26, 2015 by spuddybike.